Garage door lubrication is an often-overlooked part of an overall do-it-yourself maintenance program, but it is extremely important. You should make sure that you do this every six months to make sure that your system continues to work as it should and you don’t need to call for repair. The experts with Action Garage Door would like to give you some tips to help you take care of this job correctly. The most important thing to remember regarding garage door lubrication is that you should not put grease on any plastic parts, such as idler bearings and rollers. It’s also important that you perform garage door lubrication in moderation. If you apply too much, it can drip onto your car as well as the garage door. If you happen to overdo it, simply get a towel and wipe off the excess. Once you have greased the metal components, run the door a few times and wipe the grease off of the trolley, the component that connects the J-arm (the part that pulls and pushes the door) with the rail. Your rollers can be thought of as the tires of your vehicle, with the metal track as the road. Just as you wouldn’t want grease on either your tires or the road you’re trying to drive on, you don’t want to use grease on the rollers or the track either. Get some silicone spray and lubricate the hinges of the rollers. 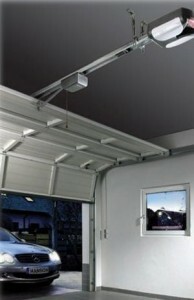 This will help your garage door run much smoother. Just don’t use WD-40 because that will break down your grease and lead to more friction. If you have any questions regarding garage door lubrication, or you would like us to take care of this or any type of garage door repair job for you, contact Action Garage Door online or call us at 817-204-0917.